In this case, of course, everyone’s a winner! 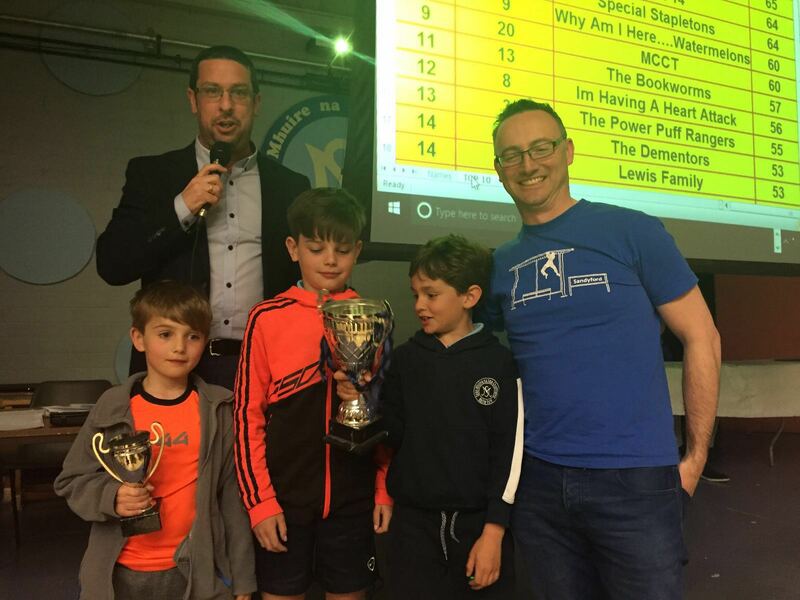 With almost 500 Euros raised for the schools, the JPA would like to sincerely thank all those that took part especially the volunteers and notably the quiz master himself Mr. Leo Clancy. Adam, Lisa, Jack and Sean. Colm, Joseph, Ronán and Frank. 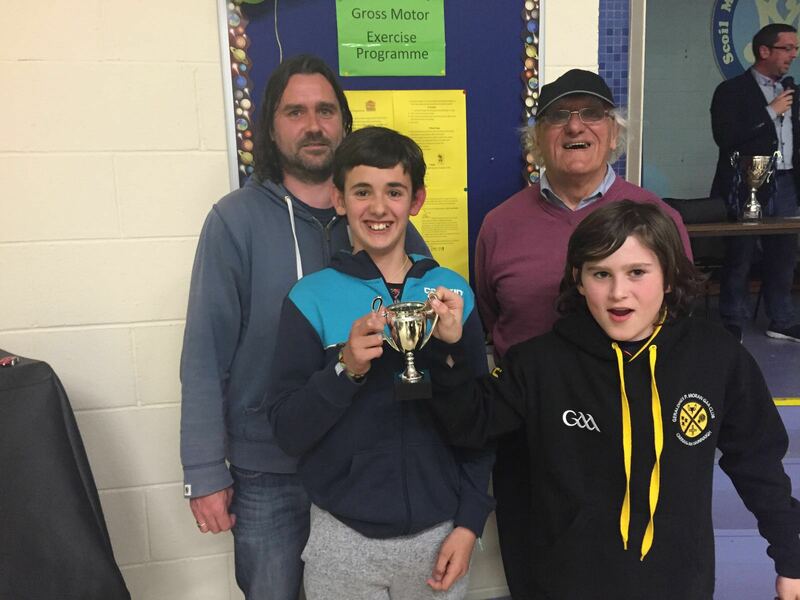 With First Prize and being presented with the Leo Clancy Perpetual Cup! 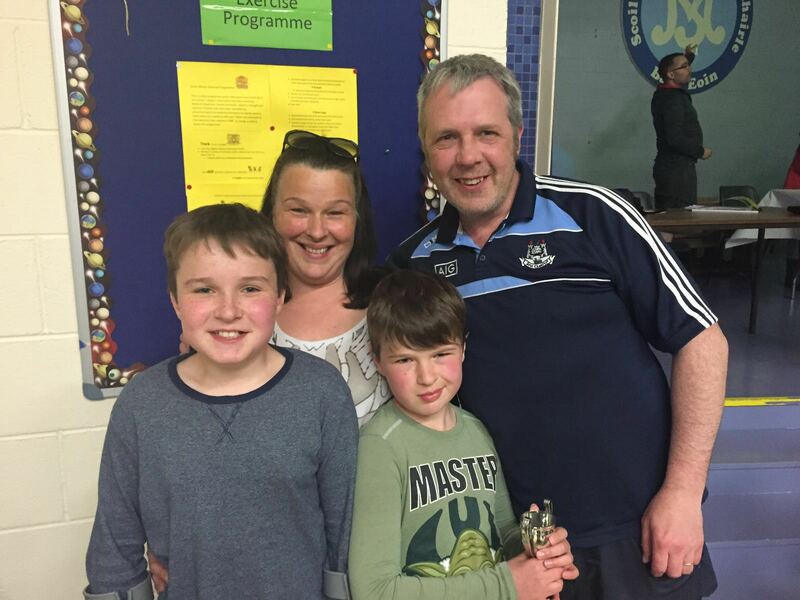 This entry was posted in Fundraising, JPA event, Quiz Night. Bookmark the permalink.